2T and optimal seating. - Sitting Safely? I had rather forgotten about ‘comfort’ as it had been shot down by the scientific community as far back as 2003 (again see sittingsafely.com/comfort/ . It should be, as in the Hippocratic oath – Do no harm. 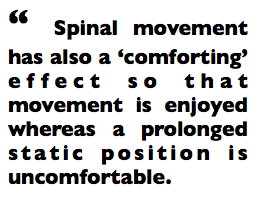 After last week (2015) I have added “This is important ……with ‘comfort’ which misleads, being that treacherous guide which only turns up truthfully when the bio-mechanics (ergonomics) are fully correct. At present there is no chair on the market that does not have this potential. Simply, prolonged sitting results in backache. Stop. At least potentially for about 70% of users and health problems for 100%. 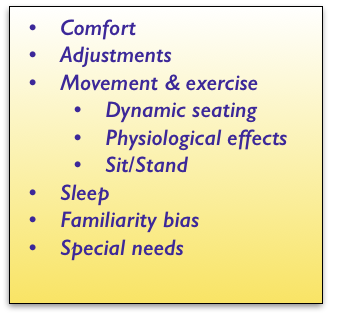 ‘Dynamic Seating’.Recently there has been interest in continuous small amplitude movement for upright chairs, the chair re-aligning with the users centre of gravity. ☛ Various chairs. How do they measure up? 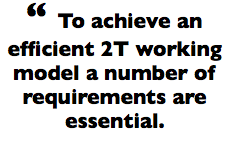 2T exercise and movement systems ☛ The unstable TRANSITIONAL MODE. It’s importance. Sit/Stand. ☛ SIT/STAND (& stools)→ . Bio-mechanically superior to the use of existing upright chairs and can be an adjunct to the 2T system which then becomes a ☛ 4M work-station→ concept (and a ‘full’ solution). This entry was posted in Uncategorized on January 9, 2016 by Dr. Henry Sanford.